Mesothelioma is an aggressive form of cancer that affects the lining of the body’s internal organs. Exposure to airborne asbestos particles increases the risk of developing malignant mesothelioma and is the most common cause of the disease. The term mesothelioma is derived from the word “mesothelium,” a protective membrane that covers and protects most internal organs of the body, and the suffix “-oma,” which is used to name cancers. Mesothelium is composed of two layers of cells; lubricating fluid is produced by the mesothelium and is released between the layers, which help moving organs to flow easily against adjacent structures. Organs such as the heart, lungs and stomach that expand and contract rely on this fluid. The three most common types of Mesothelioma are pleural (lungs), peritoneal (abdomen) and pericardial (heart). Pleural mesothelioma is by far the most common type, comprising more than 75 percent of all mesothelioma cases; peritoneal mesothelioma is the next most common at 10-20 percent of all diagnoses. Pericardial mesothelioma is relatively rare, with only about 1 percent of all mesothelioma cases falling in this category. Though exposure to asbestos particles can cause mesothelioma, the disease has a lengthy latency (waiting) period of at least 20 years and often longer before symptoms appear. It is therefore important to know whether you have been exposed to asbestos in the past, whether or not that exposure has continued, and to closely monitor your health if that exposure can be confirmed. 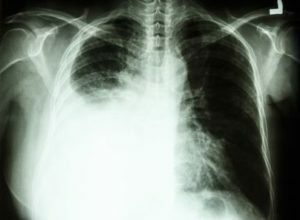 Following a mesothelioma diagnosis, the average life expectancy of a patient is less than one year, though the actual expectancy is influenced by such factors as the type and stage of the disease. Treatments are available that can significantly extend life expectancy and ameliorate pain and suffering, so it’s important to know what treatment options exist and where to find them. The Mesothelioma Help Center offers general information as well as financial and legal assistance to mesothelioma patients and their families to keep them as informed and comfortable as possible.